Where are all the girls at?! Like many other career paths, the event industry has been, for a long time, a male-dominated scene. At the foundation, there is an arguably strong female presence — the majority of events management course graduates are women. However, whatever the deterring factors, there is still a huge disparity in the number of women who have successfully penetrated the upper ranks of executive management; women are less likely to be optioned to speak at key events; and still, the female population is significantly underrepresented in the tech sector, even though the percentage of women in the US workforce has surpassed more than 50%. Where are all the women managers? Where are all the women speakers and tech innovators? Of course, the events industry is ever-changing and constantly evolving. With the advancement of technology, the approach toward event planning, managing and innovating has advanced as well. One of Cleopatra’s greatest issues in her eventing campaign was limited communication (contacting guests had to be done through hand delivered messages); today’s digital transformation has enabled managers and employers to deliver maximum impact. With a single interface for staff management solution, Ubeya upgrades the manner in which people can plan, host and manage their events. Whether working in sales, marketing, human resources, graphic design, content writing, app development input, or collaborating on ideas, the women of Ubeya are strategic assets for ensuring the company’s success and business growth. In fact, more than 50% of the Ubeya team members are female. Meet Maya Lieber, the Vice President of Sales and Marketing at Ubeya. Maya is currently celebrating one year at her position at Ubeya — and looking forward to progressing with the company as it grows and evolves. Innovation Women is a platform founded for women, by women, connecting event managers with potential female speakers and panelists in order to provide entrepreneurial women with greater opportunities to appear in their field of expertise. Representing women in the event technology sector are Leonora Valvo and Marie-Claire Andrews, the founders of the movement Women in Event Tech whose ultimate goal is to support and connect between female entrepreneurs and trailblazers working in event technology. For women in all of the various events-related fields, the Association for Women in Events (AWE) is an inclusive membership-based community designed to bring professional women together to find mentors, resources, solutions and opportunities for growth. 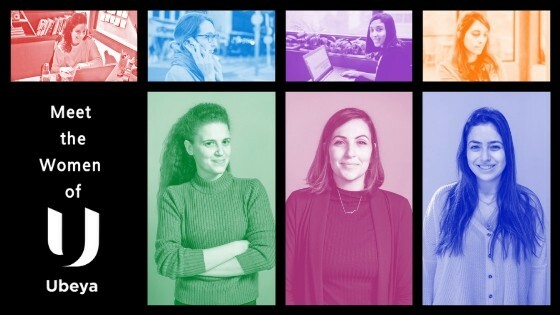 Like your friends at Ubeya, these professionals are constantly questioning, challenging and bringing new ideas to life within the event and tech industry — and through doing so, are empowering women managers, entrepreneurs, creatives and staff everywhere. Learn more about how the Ubeya team can help you upgrade your event staff management! Check out our website and/or schedule a 15 minute free demo!